All the tickets have been given away now. I hope you girls have a great weekend together! Hi ladies! We have ten tickets to give away to the Living Proof Live event in St. Louis this weekend. If a complimentary ticket would enable you to attend the conference, please call our office toll free at 1.888.700.1999 and ask for Kimberly Meyer. I will update this post when all the tickets are spoken for. (If you’d like to purchase a ticket, you can do that here.) Please pray that Jesus will be glorified through this gathering. Thanks, sisters! This entry was posted on Thursday, June 24th, 2010 at 9:31 am	and is filed under Events. You can follow any responses to this entry through the RSS 2.0 feed. You can leave a response, or trackback from your own site. Thank you, thank you! We are pumped! Can’t wait to see all our siestas there! I’ve got me ticket and can’t wait!!!! I went to the LPL in Springfield, IL last year and it was AWESOME!!!! I am SO looking forward to this weekend!!! I am praying for Beth, Travis and the entire LPL event staff that are coming. God has got something awesome planned for this weekend. What a great way to end my week. Today we are celebrating our son’s 4th birthday and then I get to spend the weekend listening to Beth bring a word from God. Also getting to sing praise and worship songs to the Lord with Travis is going to be wonderful!!! I AM SO STINKIN’ EXCITED I JUST MIGHT JUMP RIGHT OUT OF MY SKIN. . . not really, but it sure feels like it!!!! See you there Beth!! The HEAVENLY SPIRIT OF ST LOUIS WILL BE UPON YOU!!! Praying blessings & safety over the conference and travel for all. Maybe I’m shooting into the dark but I want to test whether my post is going to be posted. I really want to know why the international posts are not coming through?! It is like a blank wall. See you wonderful ladies there! Thank you, thank you! We are soooo excited for this weekend! Praise the Lord for all that He did to bring this opportunity about. He is into the details! See you this weekend siestas! I am so excited for you to be in St. Louis this weekend. It is going to be a great conference. My prayer is for the Lord to speak to each and every person there. I am going with a group from my mom’s church. My cousin is coming with us and she is not a christian so I am excited that she is coming and praying that God will be made clear to her there. We’re headed to St. Louis for LPL and looking for a Bible-teaching church to attend nearby on Sun. morning. Anyone have a suggestion? I head do St Louis in the morning! I have mixed emotions. This will be my first LPL event. I am so excited about that and how God will be moving this weekend. I also am returning to a place filled with memories and friends since I completed my residency there just a year ago. I am attending with a dear friend! But, I am leaving my kids for the first time! I am more than a little anxious, but I kneo my hubby is more than capable. Pray for us all as momma is awayfrom her babies! I went, it was fabulous!!! Little acts of obedience are greatly rewarded. Mandy, I went to my first LPL on May 21st!! All I can say is Awesome!!! I went and purchased Travis’s CD and now my kids are singing from memory. It was life changing for me. I am praying for your anxiety to be eased and for you to be completely filled with the word of god!!! I went and purchased tickets for the Sept. LPL and I cannot wait! Hi Mandy! I’m praying for you too… I head out towards St. Louis in just a bit here, and will be leaving my baby for the first time as well. I’m trusting that it will be worth it and so excited to see what the Lord is going to have to say to each of us!! So excited for this weekend! My aunt was so generous to get tickets for me as a birthday present! I have done so many Beth Moore bible studies and can’t wait to see her in person.I am hoping my babies are feeling better tomorrow night, so I can focus and not worry about them. Can anyone post here, or is it only for those in the current Bible study? Wish very much I was going to be able to attend. I will be praying for you ladies. God is going to show up big…I know it! We are just so blessed to have so many choices to study the Word. I really wrestled with this one. I even purchased the book at Deeper Still. I love Kelly Minter and the study 2 summers ago, but after attending Denver Deeper Still and also picking up Kay’s Book on Learning to Study the Word in 28 days to read through with a girlfriend, I can’t do more and do it well. We are finishing up, Anointed, Transformed and Redeemed next week at church and then after July 4th we are doing Living Free. So you can see, it isn’t that I won’t be in the word, I have just had to choose where! Thanks for all you do to encourage us to stay in the Word! I am at a time in my life where I am feeling alone in this world. I am finding it hard to feel loved. I am not doing the bible study at this time in my life I cant afford the material.I am very shy. I cant believe I am posting this comment. I feel like I really need to connect with a group of women who love the Lord. so if it is ok with you siestas maybe I can grow in Christ with you. You are welcome here. I have found so much joy in this blog community! I know what it feels like to be smothered in your loneliness….but God is faithful. He loves you so much and he is always there desiring to be your BEST FRIEND! Thank you for taking that first step to post on here! Just wanted to say that I am flying in from Phoenix specifically for this event!!!! I’m meeting my friend from Ohio there and making it a kid-free girls weekend!!! I am so grateful for God’s leading in your life Beth. Thank you for seeking Him and listening to Him. I have been emailing your LPL folks and asking for the words to a prayer that Beth had us say to each other during the worldwide Simulcast of So Long Insecurity. No one seems to be able to locate it..they keep pointing me toward the BLOG and I can find it nowhere. It meant a lot to me and a sister in Christ and I would love to have the words…..does anyone have them….Beth????? Grateful in St Louis and see you tomorrow night at LPL!!!!!! Here are the words shared as a commissioning statement. You can find it on this blog under the April 24, 2010 post, but I thought I would share it with you here so you would be sure to find it! I’m going to the event in St. Louis this weekend as well!! So excited!!! Scroll down and you’ll find the commissioning posted on April 24th. Hope my instructions are clear & will help you find it. I will miss being part of the Siesta Summer Bible study so much, but you need to know that I am not ignoring Bible study this summer….not because I feel guilty, but I want you to be proud. In fact, there are four of us gals who have been meeting on Monday evenings in one another’s homes for several weeks now (our group has grown from three to four:-) doing “Jesus the One and Only” study. It is wonderful and we are LOVING it!! I just wanted you to know that even though we’re not coming to this class…we are still having class. Thanks for all your hard work and how much you love us!! Hi Mommy of , I was in Springfield last November too & I will be there tomorrow evening! St Louis is my hometown even though I live in Texas now! I am eager for the Lord to fall afresh on me, especially after the week I have had!! Last Wed my Father-in-Law (here in St Louis) died suddenly and the very next day, my mother (also lives here in St Louis) was diagnosed with colon cancer!! I have been here since last Friday, practically living at St Joseph’s hospital here in St Charles!! To say that I am emotionally depleted is an understatement! I am standing firm even though my legs are shaky! WOW! I just read your post for the first time. Sorry to hear that you are going through so much right now. I will say a prayer for you and your family. Hope you were able to have a good worship experience at the conference this weekend. I pray that God spoke to your heart and gave you the encouragement you need to get through these trials. Keep us posted on how you are holding up and how your mother is doing. My mom, sister, daughter and I are headed to St. Louis this morning. We are excited to see Mama Beth. I get told a lot that I look like Beth. Know that there is another sister in the audience that resembles you, loves the Lord like you, uses as many hair products as you, loves Mexican food like you, fusses over my grandson (aka: Mocha Cub)like you, loves her family as much as you, and loves to worship Jesus with Travis like you. Can’t wait! Deo Volente. Can’t wait to be there this afternoon!!! We had a last minute cancellation so if anyone needs one free ticket or knows someone that does…email me at drealtr_1@msn.com. Will make arrangements to meet you and pass it along. The LPL events are wonderful times of worship and the Word! Looking forward to seeing you all there! Will keep all of you in prayer! Praying right NOW! Rejoice in the Lord and treasure Your time with Him. Dear Lord, Thank you for your presence with us everyday. Thank you for these women who love you so much. God speak the words you would have them hear. Help women to earnestly seek You and fill their lives with Your Joy. God, You are wise and mighty in strength. You are our dwelling place. There is no limit in things You can do! For Mother’s Day my two daughters bought me and them tickets for the St. Louis event. The three of us went last year to Memphis. Beth, you speak to my heart and Travis, when you lead worship I feel like I’m in God’s throne room! A nagging problem in my leg escalated and I had to have back surgery this past Tuesday. So, I didn’t get to come. I insisted that they go without me. I’m so excited for them and their friend, Brittany, who is using my ticket. I will be praying for each person involved there in St. Louis. Beth, could you give a shout out to Abby and Annie? They’ve been wonderful nurses since I got home. I love to see what God is doing in their lives! Waiting to hear what God is going to do in St. Louis! On my way and expecting Great things for the Lord is with us and we will Glorify His Name!!! Spirit and Heart are sooo ready for this weekend!! Funny what we do to get ready for 40 hours away from home….laundry, madly dashing about picking up the house, get clothes out to take/try them on/gained 8#’s on vacation/pick new clothes!, sit on bathroom floor and paint toenails, pack toiletries while self tanner dries hoping kids don’t barge in bathroom and get traumatized, off to grocery store for midnight snacks, email and call to coordinate meeting point for all going, reemail and call to modify and reconfirm plans, leave note for hubby and kids under pillows, get bible/pen/kleenex, sending up prayers for kids/hubby, those traveling, Beth/Travis and crew, and for God’s presence to fill the arena…………………………. Have a great time everyone. It’s going to be a blast! So incredibly eager and excited about this weekend’s LPL in STL! Been lifting up Ms. Beth and the entire LPL team in prayer as the day has been approaching. Oh my, how I cannot wait to experience all that the Lord has in store! May God’s Word penetrate each and every heart present in a refreshing and life-changing way. May He be truly honored and glorified as we approach His throne in praise. May we lay aside all expectations and just plain have an expectancy. May we be vulnerable and humble enough to allow our hearts, minds, lives be challenged and changed. Oh precious Jesus, may Your Spirit be felt all across St. Louis as never before. Do what only You can! Thanks LPL for coming to my neck of the woods. Can’t wait to see you all and lift up a shout of praise to the Lord with you! I am stopping by the LPM blog to say THANK YOU!!!! for the So Long Insecurity book. What a powerful and amazing read. I am awed and amazed how God keeps sending all of my messages through you, (grin). You have even changed how I feel about YOU-as is evidenced in my blog today. Read it for a laugh (and hopefully, an affirmation)…in your spare time, heehee. I would like to apologize for not showing up for my free ticket. I felt like I really, REALLY needed to be there. I have been a divorced mom for over 13 years, just had my first grandbaby born last week several weeeks early and there were complications with both mommy and baby. There have been other hurts this week and I just wanted to get there and throw myself at God’s feet and hear Beth preach a word. My commute there is over 2 hours, I had gotten within a half hour or so of the arena and my car totally quit. No power steering, almost no acceleration. So, I spent over 7 hours standing over the Good Humor freezer and the Miller Lite boxes at the gas station over a cell phone that was dying and a cell charger that was not working, waiting to try to find someone that could help me. The towing service was going to charge nearly $400 to fix my car and I do not have that much money to my name, in fact I am getting ready to sell my house for 1/4 of what it was purchased for as I can’t afford to maintain the house or live so far from work. I am selling my furniture and any thing of excess to try to survive and honor my basic debts such as utility bill and car insurance. We rode home three in the pickup cab so much like when I grew up, and it brought back so many good memories of my parents and brother… and we had that late night exhausted punchy hilarity that can only happen when you are that tired…. God’s hand was with us, He kept my children safe in a large city when we are small town folk. I am just praying that I can have my car fixed/have transportation Monday for my job as it only lasts 3 more weeks. When I get some money, I am going to order a bunch of your cds to listen to!! and I am so sorry I asked for the ticket, when someone else could have had it and enjoyed it!! I prayed for you all, I know God showed up!! I’m so sorry that happened to you! Bless your heart! Please don’t worry about the ticket. God had a purpose in all of this. We’re just glad you’re okay. Wow, thank you so much, Beth, for bringing the Word! God has truly redeemed my dignity this weekend! It has been such a blessing! Wow! What a great time at St. Louis. Beth Moore, I LOVE YOU GIRL!!! Your passion for God’s word and your Love for Our Savior drives me to tears. If I could ask you one thing, it would be…how do I begin to study his word? Sounds simple I know. Sit down and read. I am so curious to know your daily routine. How do you manage it all? You are such a role model. I see your love for Christ and I want others to see that love and passion in me. I wish for you and your whole entire family all the happiness you can handle and pray that God keeps your heart humble. God bless you, and thank you thank you thank you for being a Godly mentor to me. Hey Beth, Amanda, and Melissa! I was at the St. Louis conference this weekend!! What a totally rad time we all had worshiping God under the same roof–All 7,500 of us!! I’m 20 years old and have completed five of your Bible studies within the past three years, as well as numerous other Bible studies, and mega loads of Christian books. Please don’t misunderstand me, I don’t want to sound as if I’m doing all sorts of, “Holier than thou…look at all the reading I’m doing for the Lord” jibber jabber, but it’s so rad to see my past and how far God has brought me, and is continuing to bring me! I was extremely made fun of in middle school, by both my peers and my stepfather, to the point where I wanted to end my own life. Though I grew up in the church, I fell away from God for a very long time. I got back in touch with God in high school, but instead of God being one of those “missed calls” like it felt like He was in middle school, it was more of a “call waiting” kind of thing. I didn’t really invite Him to be a part of my life, I just expected Him to make everything perfect for me. I joined my current church my senior year of high school when I was 17, and now I feel as if I’m making up for all those years that I lost!! I seriously feel as if I cannot get enough of God’s word!! And even more spiffy, I love seeing how God uses my troubled past to help others! I currently lead a middle school girl’s book club/Bible study at my church, and am continuing to look for ways to get involved with this totally boss age group! Thank you so much for stopping by St. Louis, Beth! God has used you in my life and in countless other women’s lives as well, and that is such an amazingly powerful ministry! I hope to see you again someday! If not here on Earth, then most definitely in Heaven, worshipping that totally stellar Ancient of Days with way more energy and enthusiasm than we had in St. Louis!! This is ofcourse not about the tickets. I went to the St Louis conference. It was absolutely beautiful. I love the way you love the Lord Beth! I want to live my life with that same passion and urgency I see in you and the praise team. I did go up front and pray w/ one of the team members for my family. I know God met us there, I felt His presence so strong. I always become so “overwhelmed” when this happens and I bawled through out the service. I hope no one minded or noticed the snot! LOL Thank you for the tissues by the way! I just really wanted to thank you for the time and effort you and the rest of the team put into these conferences. They mean so much! This was only my second one but I’m sure not my last. I needed this in so many ways! Please pray for me, I have been asked to help with the youth group at our church. I have been helping but I want to do God’s will for this not mine. I need wisdom and discernment for this even though I am just a helper.Our group is small but we hope to see growth. I hope to see growth with in me as well. I can only hope to bare the image of GOD. And I will do my best to Wear it! Thank you so much BETH! I so enjoyed seeing Beth in person this weekend. Her over the top personality is her reflection of Christ in her, its her Imago Dei. I have not always appreciated her being over the top but seeing it live puts it into perspective and gave me a new appreciation. When we are crazy for the words on the page written by the one whose image we are made in we should all be over the top with excitment and burning desire to share what we have learned. I have been praying for your visit to St. Louis and now for sure that the word you brought forth is already at work. Just to know that a friend now know that He thinks thoughts toward her presonally is worth it all! Thank you for your willingness to go where the Father leads and to teach only that what he has put together, even the last minute changes or the back ups, they were worth it all. Great time at the LPL in St Louis. Chafeitz did a great job as did the city of STL.I have been to many conferences (Paducah,KY, Branson,MO, Kansas City Mo, Springfield, Il and the simulcast SLI.) but this was great having it in our own back yard. Beth and Travis, you are awesome!! Travis, I loved your solo. Beth,where do you get all the enery? I loved the Bible Study and tried to listen as fast as you were trying to teach. Could you please post the commissioning statement? Thank you for all you do for women everywhere. Looking forward to your next Bible Study. Would you ever considering coming for a LPL event to Seattle, WA? We would LOVE having you in our neck of the woods Mama Beth! It’s too expensive to fly for me, but oh would I love to attend one of your live events. I was thrilled to be able to attend the SLI simulcast at least! You’d be so welcome here on the West Coast though! BETH………..HAD THE BEST TIME EVER AT ST LOUIS………HOW AWESOME WAS THAT?? MY WORD FOR THE BLOG STUDY WAS ‘SEARCHING’. I’M A CHRISTIAN WOMAN WITH CHILDREN AND GRANDCHILDREN, A JOB I ENJOY, A CHURCH WHERE I SERVE AND WITH ALL THIS, LATELY I’VE FELT LIKE GOD HAS SOMETHING MORE FOR ME……….I’M FEELING LIKE SOMETHING IS MISSING. MY LIFE IS FULL OF REALLY GOOD THINGS THAT I APPRECIATE SO MUCH……….BUT SOMEHOW I’VE BEEN LOOKING FOR MORE PURPOSE IN MY LIFE. YOUR TEACHING HIT ME EXACTLY WHERE THE SPIRIT HAS BEEN WORKING. THANKS BETH FOR LETTING GOD USE YOU SO MIGHTILY IN MY LIFE……………..YOU ARE, AND ALWAYS WILL BE, ONE OF MY VERY BEST BFF’S. THANKS FOR THIS WEEKEND AND ALL THE MENTORING YOU’VE DONE IN MY LIFE………..CAN’T WAIT TO SEE WHAT GOD’S UP TO! Beth thank you so much for this weekend! I brought 22 ladies with me this weekend and all of them said you spoke straight to their hearts. I also wanted to thank you for praying for my family and our church after the afternoon session was over. It meant so much to me that we got to spend a moment together in prayer. I really enjoyed getting to meet you and spending a quick moment with you. I do have a question. After we had our picture taken together I forgot to leave my email address with the photographer so that he could send it to me. How do I go about getting that information to him? Thanks for your help. I know you all are very busy. I just returned from this conference. I was so blessed to be able to study and worship with all of these 7500 beautiful Sisters in Christ. I went with the idea of laying my burdens (my 26 y.o. drug addicted daughter who is facing prison and has a 3 year old son we are raising)aside. Beth told us to put our burdens right out there! Through this conference, I think I finally got it! I have been a Christian all my life, I have studied the bible, prayed, but during this Conference and study, I saw God in a whole new light. I know he’s the man with the plan! I know that even someone with all these problems was made in God’s image. My words are so inadequate, all I can really say is “Amazing”. My best friend came mad at God,the world, herself. Her husband recently became brain injured. On the way home she said “God and I were having a struggle. Today, I finally said “okay, here I am..you’ve got this”. I wonder how many more stories of healing came out of that group of 7500 women? Thank you, Beth for carrying God’s word to us in a way that we can understand! To Beth and her entire crew: I just got home from the Living Proof weekend in St. Louis. I don’t know what to say. I am just unbelievably overwhelmed with God’s presence and His beauty. I bought my LP tickets just a few weeks back–honestly, I was just poking around the web to see if maybe I could see Beth sometime in person. I am a new Christian, and I have had a lot of trouble figuring out the “basics”. Luckily, God sent me the dearest, most amazing and truly Godly woman to help me learn. We started our first Beth Moore study (Believing God) five weeks ago. People kept telling me to do one of hers…so we picked that one. We meet every Wed. afternoon and spend the entire afternoon up until church time studying together. When I found the Living Proof Live seminar, I couldn’t believe it. I felt like it had been handed right to me because it was four hours from home and on a weekend that I was free (that doesn’t happen often). I felt like I just HAD to go because there was something I was supposed to hear. To see that in writing now just makes me feel a little crazy. I just never did understand Christian people who would say, “God told me this…” or “God spoke to me…” It always made me want to say, “Sure He did. Contact some of my dead relatives for me now.” I mean, it just seemed so OUT THERE to me. I never dreamed I would find myself in the middle of a bunch of Jesus Freaks on a Saturday afternoon. However, now I am the biggest FREAK of them all, and I could care less what anyone thinks. I have spent 42 years of my life living in pain, sadness, depression, abuse, and worse. Today, I am almost free. I say that I am almost free because I truly DID need to be in St. Louis. God spoke to me through the mouth of Beth Moore this weekend. It wasn’t about what I thought it would be about, but it WAS about my own problems, insecurities, and pain. And now I have to ask Him for help in letting that go so that I can move to whatever He has for me next. I am looking forward to completing Believing God and then starting Jesus: The One and Only. We decided that it would be our next study because this weekend Beth said, “If you want to know God, study the life of Jesus.” So we are. Thank you all for your insurmountable work in pulling this meaningful and miraculous event together. To a newbie this was some kind of a sight to behold. Oh, Sheri, I have chills all over my arms. I can’t tell you how I love to see someone begin what is destined to be the great adventure they were created to take. May He continue to explode your image of His greatness and His affection for you. Oh Beth…I hope you are right. Trust is not an easy thing for me. I have spent most of my life avoiding situations where I would have to trust anyone except myself. At least if I trusted myself and I failed, it was MY failure. Trusting God is SO DIFFERENT. I am just watching Him move through things in my life with a power I don’t understand. This weekend was painful for me. He opened my eyes to a way I am being disobedient to Him. Even last night, I couldn’t do the Lord’s supper at my church because I knew it would be wrong for me to do it while I was not right with Him. It was hard to sit there while the people of my church took the elements…and I didn’t. The thing is, I have NO IDEA how to do what He wants me to do! And the worst of it is, I have literally been ON MY FACE praying to Him for help and strength and I cannot detect His presence. I cannot find Him. I am hanging onto Him with all I am worth, because I don’t know what else to do. But now, I feel abandoned and lost again. I didn’t have a Godly upbringing or a family example to follow…I only have the pitiful tiny bit of faith that I have learned from Him in the past 9 months. I’m absolutely desperate for Him…I have never been more desperate for anything in my life. And, I cannot explain how He has changed my life…when you said you were a wreck and one of the worst in that room Saturday, I knew you were wrong. I am not fit to be loved by Him–to accept His forgiveness–to allow Him to work in my life. I am trying to find a way past those lies. But they seem so real…thank you for being willing to speak to people like me about His love. I’m just praying for His healing and help in doing what He is asking me to do–it really is beyond impossible for someone like me. But there is this wall between He and I right now because of my disobedience…and I hate it. I can’t stand it. It took that wall to make me willing to work on the problem. Now I am willing, but I have no tools and I have no idea how to do it. I just want it to go away–I want to be next to Him again. Sheri, I had a similar “calling” to a LPL in Grand Rapids. Eight years ago I was asked to attend a bible study with a friend. I grew up as a Jehovahs witness and I was afraid my family would ridicule me for going to church. But my family lives in Ohio and we were living in Indianapolis at the time. I went and it happened to be one of Beth’s studies, I loved it and started attending church. Then not long after my second daughter was born my husband got transferred to Michigan for work. I occasionally checked to see if Beth was going to be somewhere close enough for me to travel. After awhile I quit looking. Then in April of this year my husband decided he wanted to attend a certain Sci-fi concert in July. When I went to the site for Van Andel there was Beth’s picture telling that Living Proof was coming to Grand Rapids. I could not believe it!!! God intended for me to find that and brought me to hear his word through Beth and her team. I thank Michelle and the other volunteers who prayed with and for me that day. I know exactly how you feel being a newbie. I also was wondering if any siestas have heard of or been a part of “The 99”? It is coming to Grand Rapids and they are asking for volunteers. Hey, Tiffany! I don’t think we have a video tape of that. So sorry! For a really decent video, we have to make some pretty serious arrangements in advance. St. Louis LPL was amazing! I studied the notes from your message last night…and will dig in all week just soaking in the amazing, powerful word of God. Today is my full day of ministry in the church. I’m pumped. Imago Dei! BTW, I thought my preacher-man husband would be so impressed with me just throwing out some of the Hebrew words & definitions…he knew every word. Why am I surprised and slightly annoyed by that? Ha. Could someone please post the commissioning statement from the St. Louis event. GOD you are so good!! I am so thankful that I had the opportuntiy to attend the St. Louis conference it was my first Beth Moore conference and I was so overwhelmed by her humbleness and the Presence of the Holy Spirit! She exemplifies the “image of God” and the message was all about HIM with absolutely no focus on Beth or the Worship Team. I had not even committed to attend until Wednesday, two days before the conference! My cell phone had pocket dialed (God’s plan) a friend who was organizing a group of ladies to go and as we talked it became clear I was going! 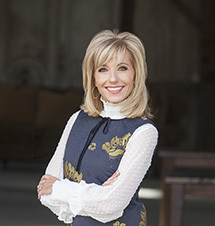 So many amazing encounters with HIM this weekend and I just want to ask that the Lord continue to annoint, minister, bless and protect Beth Moore, her family, the Worship Team and all that are involved in this ministry so that you will continue to shine brightly for HIM and glorify HIS name! A group of 15 from our church in mid-Missouri attended the LPL conference in St. Louis. It was great! Just wanted you to know what it took for us to get there. We left at noon for the 3 hour drive into St. Louis. Just about 5 miles from home we had a blowout on our bus. We drove into the neighboring town and stopped at our regular tire shop. They had 1 new tire (discontinued) left that fit our bus. Great! They changed it and we loaded onto the bus to continue. The bus wouldn’t start. The battery was dead. They had 1 battery left that fit our bus. We were finally on our way 2 hours late, but we made it safely with 40 minutes to spare. Several years ago when LPL was in Kansas City we had a blowout on our bus just as we passed a muffler shop in Lee Summit, MO. A nice man changed our tire, didn’t charge us and sent us on our way. We can’t wait to see what happens when you come back to Missouri. Our ladies will not be deterred! Beth: Thank you so much for coming to St. Louis….what an amazing time!!!! God brought a whole new spin on Imago Dei through you that I desperately needed to hear at this season in my life!!!! Can you please post the commissioning statement that we did at the end. Thank you, thank you, thank you and may God continue to bless you and your ministry! I hope you don’t mind, but I just feel the LORD tugging on my heart to tell Sheri Beersman that she is SAFE here. Sheri, I want to personally welcome you to Siestaville. You will be surrounded with loving Siesta’s (Sister’s in Christ Jesus)who are traveling on this similar journey to find healing and comfort in the arms of GOD. Our leader & loving Mama Beth has blessed us with this safe blog website. I have found such DELIGHT and LOVE from so many wonderful Siestas. I call them FRIENDS!!!! They have prayed for me,accepted me,and loved me for such a time is this. I am so happy that you were able to feel the presence of the Lord at the Living Proof Conference. I have been to 2 LP’s and 1 Deeper Still. Each time I have attended these events, I fall DEEPER IN LOVE AND SEE THE LIVING PROOF OF MY PERSONAL SAVIOR CHRIST JESUS!!! BETH SPEAKS FROM HER EXPERIENCE AND HEART AND IS OUR BLESSED MAMA IN THIS GENERATION! I also attended the event in St. Louis, and truly loved every moment of it. Beth, you always amaze me with how you pull so much from God’s scripture, and then I’m thinking, now, why couldn’t I have figured that out by myself! I live with a lot of pain, but am committed to staying away from the purposelessness, for sure. AND, I’ve always believed it when someone said, well, we don’t know what God looks like, but now I know exactly what he looks like! Now, if you could just provide me with a picture of Jesus…………….. :). Thanks for your passion and devotion to God.